Samsung may have developed technology that would allow for a smartphone’s front-facing sensors to be hidden underneath the display. It could lead to a smartphone design that doesn’t need a notch. It’s not clear if the Galaxy S10 will include Samsung’s technology, but Samsung’s own head of mobile DJ Koh did say to expect “very significant” design changes for the Galaxy S10. So far, phones with extended “edge-to-edge” displays like the new iPhones, as well as several recent Android devices like the Pixel 3XL, have needed a small portion of the display to be cut out to make room for selfie cameras and various smartphone sensors. 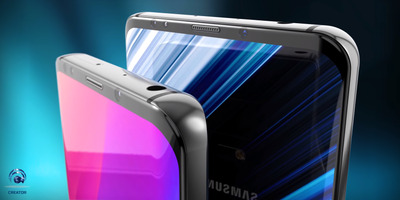 The cutout is known as the notch. Prominent gadgets leaker @IceUniverse posted an image last week of a supposed Samsung presentation to corporate customers. The presentation slide pictured below mentions Samsung’s “UPS” (Under Panel Sensor) tech that looks like it could hide a smartphone’s various front-facing sensors underneath the display panel. However, there’s no specific mention of Samsung’s UPS tech hiding a selfie camera on the slide pictured above. There is a mention of “Face ID” on the slide, but that doesn’t specifically require the selfie camera. Face detection could come from infrared sensors, for example. If the selfie camera can’t be hidden underneath the display, it’s likely that a Samsung smartphone would still need a notch or bezel. Or perhaps some kind of other innovation like the Vivo Nex, which has a selfie camera that pops out when you need it. It’s not clear if or when Samsung’s UPS tech will be incorporated into the company’s smartphones. Some clues are pointing towards Samsung’s Galaxy S10 flagship device that’s expected in early 2019, and is said to come with “very significant” design changes, according to Samsung’s own head of mobile DJ Koh. YouTube/Concept CreatorA concept of the Galaxy S10’s design. The Galaxy S10 is also rumoured to come with several of the features included in the leaked slide above, like an in-display fingerprint scanner that’s also hidden underneath the display called “FoD,” or Fingerprint on Display. There’s also the SoD, or Sound on Display, feature that’s meant to produce speaker and phone call audio with vibrations from the display rather than a traditional speaker. Still, the slide doesn’t mention the Galaxy S10, so there’s no telling if all these new features are coming to Samsung’s early 2019 flagship. Even if it did specifically mention an upcoming Samsung smartphone, it’s better to treat everything here as rumour rather than fact until Samsung itself reveals the details to the public. Samsung has been a staunch hold out against the notch design. Instead, it’s latest smartphones have used narrow bezels on the top and bottom of the display. 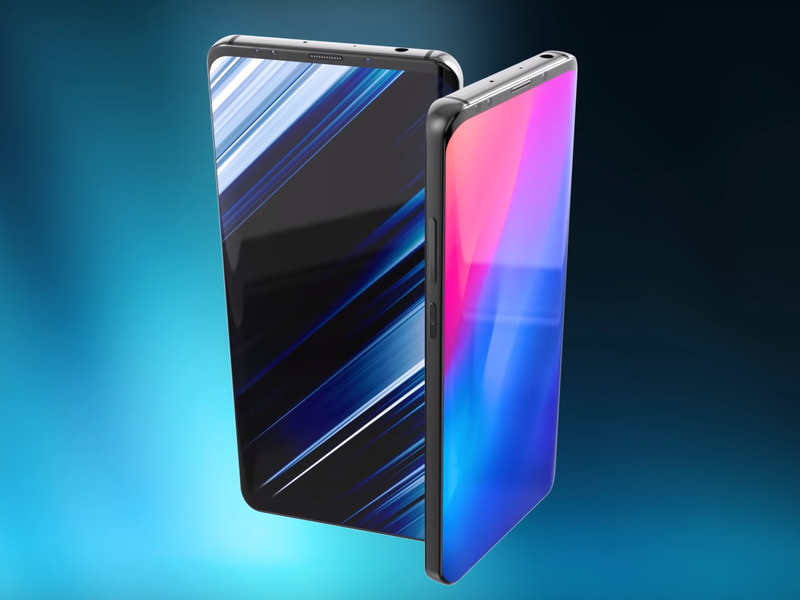 And instead of adopting a notch design popularised by Apple’s iPhone X that has smartphone users divided, the company is seemingly using this opportunity to innovate on design rather than go with the notch, which is the easiest option.